Not only were the take in ladies rude but the doctor didnt go over anything with me was not informative justplain bad visit all around. Not only were the take in ladies rude but the doctor didnt go over anything with me was not informative just plain bad visit all around. First time and I absolutely loved how quick and friendly they were. Went to get nexplannon removed had no problem .Was quick and easy . Dr. Ahmed was awesome!!! First time and I absolutely loved how quick and friendly they were. Went to get nexplannon removed had no problem . Was quick and easy . Dr. Ahmed was awesome!!! Dr. Hany Ahmed is a Board Certified OBGYN. He has been a licensed practitioner since in Houston since 2005. He specializes in reproductive endocrinology. He is affiliated with Memorial Hermann Northwest Hospital in Houston.Dr. Ahmed is a member of both the Harris County Medical Society and the Texas Medical Association. 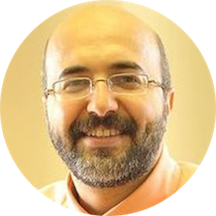 Dr. Ahmed is multilingual and speaks English, Arabic and Spanish. Very Friendly and Polite!! My first visit and it surely won’t be my last!! Wait was a tad long but Dr Hany and staff was very nice and helpful so it was worth it. He was really kind and patient as well as fast. Was really nice and quick with the exam. Dr. Ahmed is an amazing gynecologist. Since i first seen him, he always made me feel very comfortable. He is very nice and always takes the time to explain everything and answer all my questions. I do not see myself going to another gynecologist anytime soon. the doctor was very polite, and professional. once I was roomed the process was nice, and quick. the staff is very nice! keep it up. Salaam. Very professional and friendly staff. The person answering the phone could be much better but overall the visit was great. He's very professional, very compassionate, he makes sure you understand the plan that we will be going through. Very very good listener. I would surely recommend him. This is the doctor that helped me bring my baby into this world. I would recommend him to any and everyone going through a pregnancy. All staff were very friendly but they seemed to have lost my appointment. They still saw me but it took over an hour. Not sure if that is typical or was the result of the lost appointment. Dr. was very friendlyand helpful. Took the time to talk and explain everything to me. Dr. Hany is Very knowledgeable, friendly and a great listener! Staff was great also. I was called right at my appointment time. Very satisfied with my visit. Great! I most definitely will go there again. Definitivamente yo recomendaria este hospital. Las enfermeras te tratan con mucho respeto y sobretodo el tiempo de espera es minimo. I think the visit was great I would recommend considering if you do morning visit..
Am seeking another ob/gyn at the present. Staff was unorganized and not professional at all. Great doctor! Very professional. Great staff! I enjoyed my visit, he and the staff were all very helpful. This is my first pregnancy and they answered my questions as quickly as they could and my time overall in the office was a little over an hour whichwas great because it was almost 3 by the time I was finished and I was not wanting to sit in much traffic on 610. The office was also really easy to find, however I highly recommend if you need a prescription filled having them write it out for you the pharmacy downstairs was probably the longest of my visit. They said it be ready by the time I was down there and it was another 20 minute wait for the prescription. It would have just been easier to have it filled at my own pharmacy. I'm gonna be perfectly honest...At my first visit with Dr.Ahmed, He was friendly and overall welcoming. One nurse/medical assistant was particularly helpful, while others were not. I thought I had hit the jackpot with this Dr.! But I couldnt'vebeen more wrong.I read the reviews about the ultrasound tech, before my visit.Sure enough, she was rude, and very unfriendly. Don't expect for her to walk you through the ultrasound, and do all the mushy fun stuff because she doesn't. I thought this Dr. would work-out, but I knew my last visit would be my last. Dr.Ahmed's friendliness comes and goes,but at the wrong time. I had questions about my contractions, and he rushed out of the room. I'm only 18 weeks so this was very concerning.I'm looking for another Dr. as I'm typing. The doctor is phenomenal. Best visit I ever had with a physician, but the whole experience was tarnished by the front staff. I have never felt so unimportant. They are rude, unprofessional, and seem to not enjoy their job. I almostleft before seeing the doctor, but I figured it would be foolish to not give the doctor a chance. And my praises continue for him! He is absolutely amazing. The other staff, well that's a different story. My first pregnancy should be an exciting experience.. Did NOT get that here. The doctor was okay but his staff isnt. they seem not to communicate well or know anything about the patient they're attending.. They made me feel as ifI'm not important and it's not worth me getting upset over for all the let downs. They can't even handle the basics.. How will I Trust them with anything else. He is a great catch, very funny! I felt very comfortable with him. It wasn't awkward at all! Both visits were very quick and painless. Very happy and helpful staff. Doctor is great! I LOVED THE WAY HE EXPLAINED EVERYTHING AND ANSWERED ALL MY QUESTIONS.. I WILL DEFANTLY RECOMEND HIM. I am giving a middle rating beacuse I was neither satisfied or dissatisfied since my appointment was rescheduled due to the fact I am a new patient. The site should have new patient appointment times. He was a very warm-hearted and trustworthy doctor. I would definitely recommend him and will keep him as my permanent OB-GYN doctor.